Although being a Happold Scholar didn’t change my mind about the type of engineer I wanted to be, it made me a much better one, and gave me invaluable knowledge of how to design buildings that work – not only how they stand up and how they look, but how they are serviced and how people experience them. 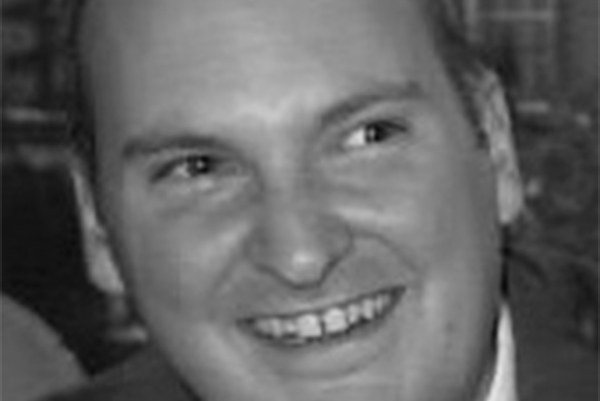 Tom Newby started his career designing buildings with BuroHappold Engineering, working mainly on major stadia. A chartered structural engineer, he has worked in Bath, London and New York, delivering challenging and inspirational structural engineering projects. Tom is currently Head of Humanitarian at CARE International UK, part of one of the world’s largest development and humanitarian charities. He leads a team providing expert advice and operational support to responses to humanitarian emergencies around the world. He is an emergency shelter specialist and has led or supported projects to provide emergency shelter or to reconstruct housing in Haiti, Nepal, Philippines, Jordan, Lebanon and elsewhere. While he misses the challenges of working on major engineering projects, he finds a great deal of satisfaction in knowing that his current work is of immediate and direct value to some of the world’s most disadvantaged people. Tom is dedicated to bringing the benefits of engineering knowledge to those who cannot normally access it, and to pursuing gender equality in the engineering profession. His history with the Happold Foundation began when he became a Happold Scholar in 2004, and he credits his experience with the Foundation as teaching him more about the industry than his time at university. Tom now leads the charity’s activities in Human Development. As well as being a trustee for the Foundation, he is a trustee of Engineers Without Borders UK, and was a co-founder of the organisation in 2001. He is also a member of Council of the Institution of Structural Engineers. Tom enjoys playing tennis and touch rugby, watching rugby and spending time with friends in the many exciting places London has to offer. He’s no longer able to do any of these because he has a baby son. 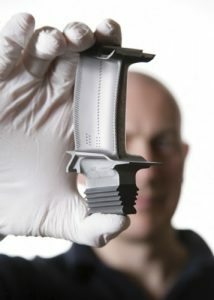 Rolls Royce turbine blade: These are some of the most hi-tech items ever made. They are located inside the hottest part of a jet engine, and in an environment that gets hotter than the melting point of the material they are made of. Based on ancient techniques of lost-wax investment casting, the blades are cast and set to form a single crystal. Only this is strong enough to survive. Tiny tubes are cast into the blades, and air is blown through them to form an air cushion around the blade, so that they don’t melt. The blades are testament to the ability of engineering design to overcome monumental obstacles. 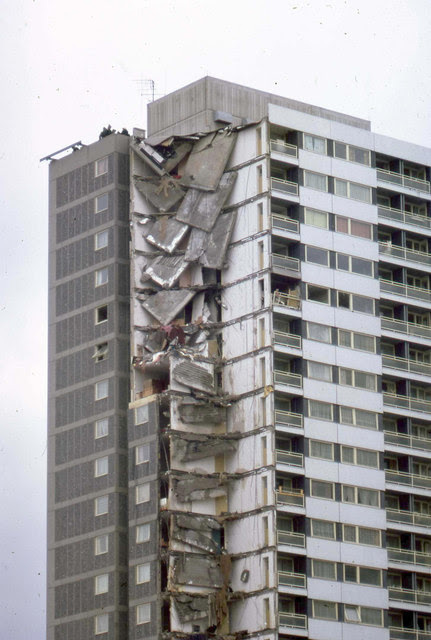 Ronan Point: In 1968 an exploding cooker at Ronan Point in Newham causes the entire corner of a towerblock to collapse, killing four and injuring 17. 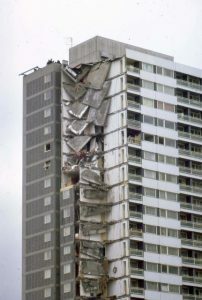 The collapse was due to a weakness in the precast panel system used to build it, where the loss of one panel caused the progressive collapse of other floors. What is inspiring is that the engineering profession examined and understood the failure and then changed building regulations and design approaches to ensure it could not happen again. Learning from failure is incredibly important. 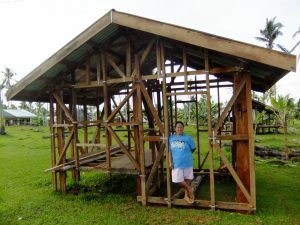 A new house in rural Philippines: After the devastating Typhoon Haiyan in 2013, CARE provided technical support, cash and materials to over 16,000 households, so they could rebuild their houses. This woman has designed and built this house herself, incorporating bracing, joint reinforcement and other measures suggested by CARE to strengthen the structure. It serves as a reminder that if we could just make good, basic engineering available to all the world would be a better, more resilient, more just place. 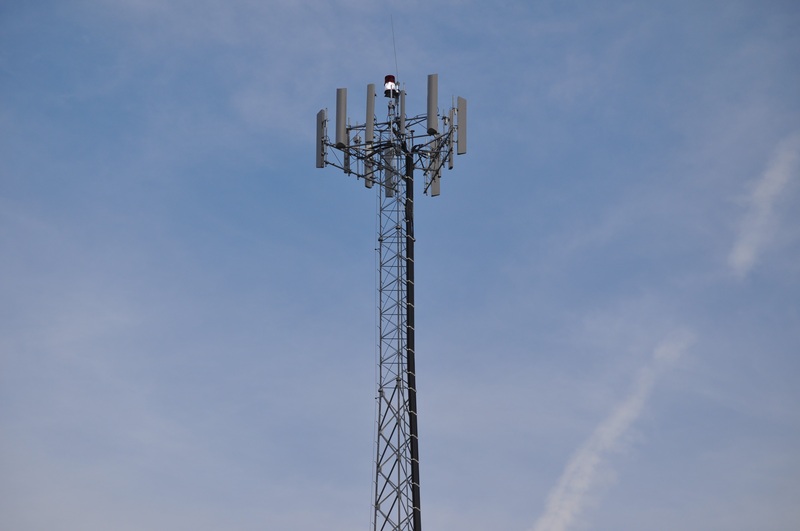 Mobile phone mast: Ugly and undesirable? Or a revolution in communications. Mobile communications has revolutionised how people interact and communicate, but nowhere more so than in poorer countries, where mobile telephones have allowed new economies to develop with mobile money and payments and the spreading of information and knowledge. It costs very little to roll out and maintain a network of masts; now everyone can be connected. The Northern Outfall Sewer: in East London a path called the Greenway runs alongside the Olympic Stadium. Underneath it lies the Northern Outfall Sewer. Designed by Joseph Bazalgette after the 1853 cholera outbreak it was the first major urban sewer system in the world, and is still the basis of sewer design today. Modern sewerage has saved millions of lives.